Lipoic acid is often referred to as the universal antioxidant since it is both water-soluble and fat-soluble. A premium-grade preparation of alpha-lipoic acid. Through proprietary technology, the potentially harmful chemical by-product epilipoic acid is removed and polymer residuals kept at a minimum, resulting in a purity-controlled product that delivers maximum value and effectiveness with an excellent safety profile. Lipoic acid is often referred to as the universal antioxidant since it is both water-soluble and fat-soluble. Because of its universal solubility, it can go literally everywhere in the body, even crossing the blood-brain barrier. Lipoic acid can regenerate other antioxidants in the body like vitamin C, vitamin E, glutathione and CoQ10. Lipoic acid is found in the highest concentration inside mitochondria, providing support in times of oxidative stress. 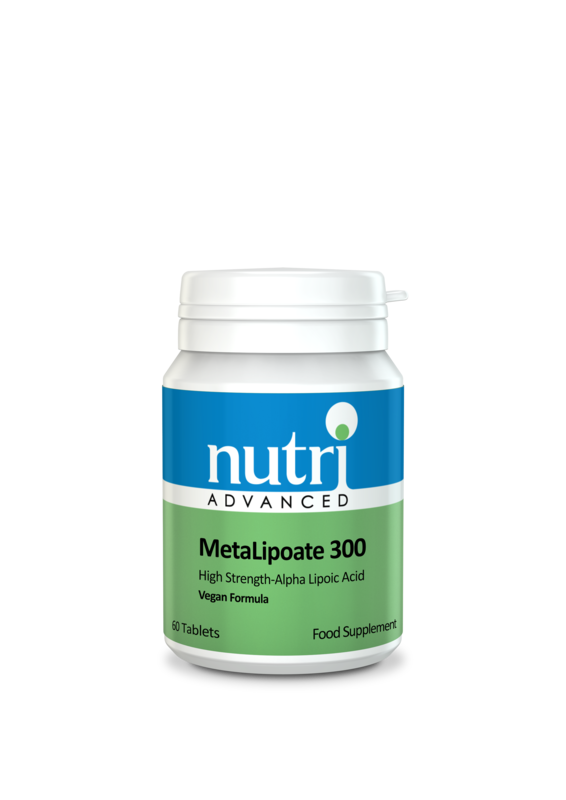 Lipoic acid can support blood sugar metabolism as well as the health and function of neurological tissue. 1 tablet one to two times daily, or as directed.